This article originally posted at The Conversation. View the original post here. Australia’s “carbon tax” is being axed – so what does it mean for you and for Australia? We asked Conversation readers to tell us on Facebook and Twitter what questions you’d like us to answer about the carbon tax repeal. Follow the links in each answer for more expert coverage. What does it mean for my household power and gas bills? Short answer: You’ll save money, but possibly not as much as the official predictions. The government predicts that for an average Australian household, electricity bills will be about 9% or A$200 “lower than they would otherwise be in 2014-15” if the current carbon tax remained in place, while average gas bills should be about 7% or A$70 lower. But that disclaimer about “lower than they would otherwise be” is important – because that’s not the same thing as saying your total power and gas bills will fall this year. in New South Wales average annual power bills more than doubled between 2007-08 and 2013-14, soaring from A$1013 to A$2073, with A$580 or more than half of that rise due to increased costs for the network of poles and wires. In comparison, the carbon tax added A$172. Yet less has been done to tackle the high network cost increases, known as “gold-plating”. And as the Australian Financial Review recently reported, the state-owned NSW network companies are seeking further price rises. As for the accuracy of the average household savings once the carbon tax is gone, the forecasts those are based on were made by Treasury back in 2011. 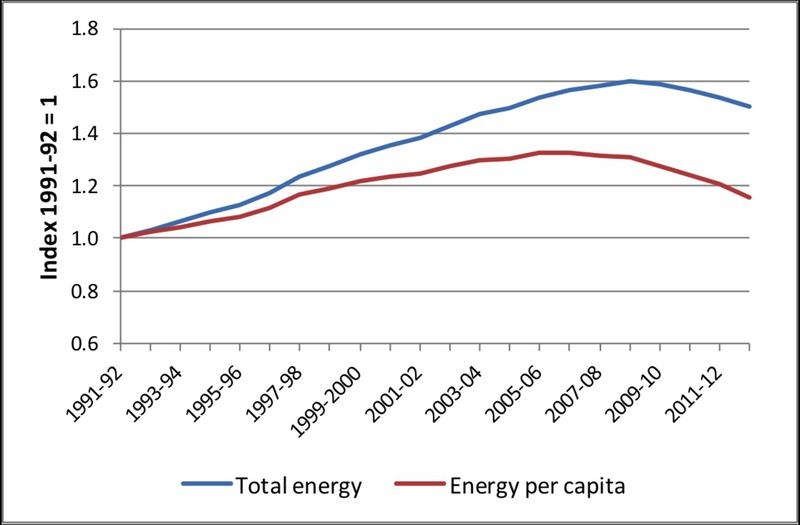 Trends in total and per person annual electricity consumption in the National Electricity Market, which includes Queensland, New South Wales, Victoria, South Australia and Tasmania. But since 2011, a lot has changed – including that Australia’s electricity use has fallen sharply, much to the power industry’s surprise. ANU’s Hugh Saddler has shown why that’s happened, including energy efficiency measures, industry changes, and consumers cutting back to avoid bigger bills. are likely to considerably lower in percentage terms and probably well under $150 per year. And remember that averages are very dangerous things. Wood is right: where you live and how you use energy will make a big difference to whether you save more or less than others. For example, if you’re a Victorian or Tasmanian using gas to stay warm all winter, you should see bigger changes in your bills than Queenslanders, who mainly use gas for cooking and hot water. Gas price rises from July 1 this year in NSW. But if you live on Australia’s east coast, the bad news is that gas prices are set to climb much higher. In New South Wales, gas price hikes that started from the start of this month will more than wipe out any saving on gas bills from scrapping the carbon tax. 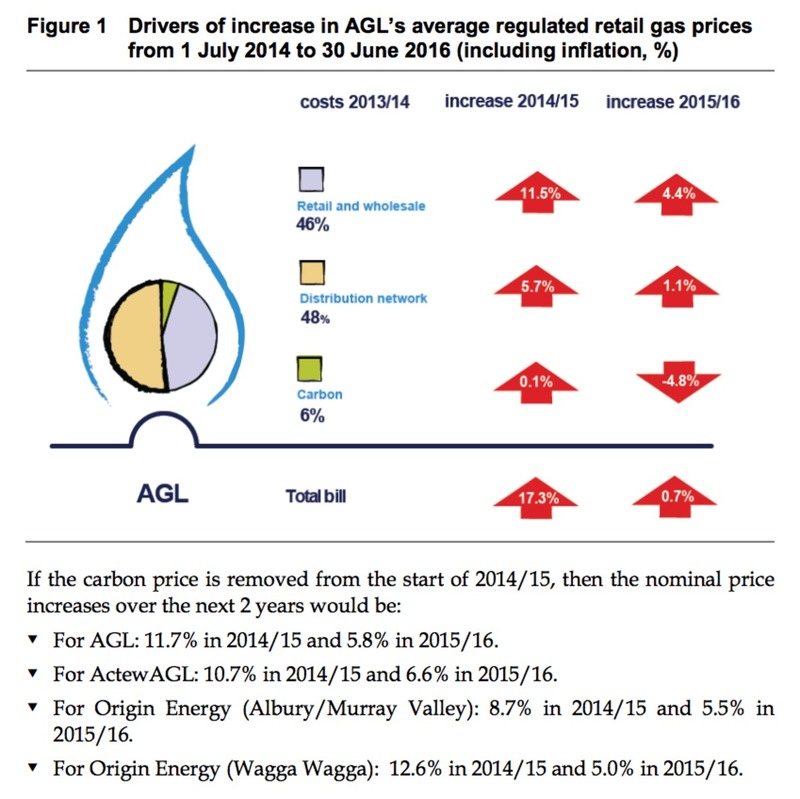 If the carbon tax had stayed in place, it would have contributed about 6% to a typical NSW home gas bill this year (click the graphic on the right for more detail). 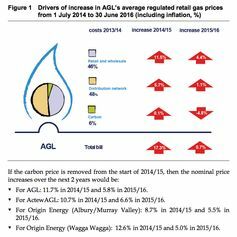 But with the carbon tax scrapped, NSW household gas prices are still set to jump by 8.7% to 12.6% this year alone. Read more from RMIT’s Alan Pears on slashing power bills and from ClimateWorks Australia’s Anna Skarbek on how not to get burnt by rising gas bills. Will low-income earners lose tax cuts and carbon compensation? Short answer: Current payments won’t change, but future tax cuts are less certain. If you’re worried about your current pension or other government payments that increased when the carbon tax was introduced, then don’t – when the carbon tax goes, your payments will remain the same as was announced in this year’s federal budget. 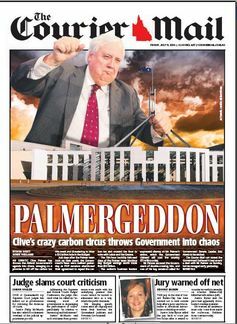 When Labor first introduced the carbon tax, it came with a A$15 billion package of household compensation, including tax cuts and increased government payments, designed to partly or wholly cover extra costs of living, such as higher power bills. Among those carbon tax sweeteners was a “Clean Energy Supplement”, paid automatically to pensioners, families who receive family assistance, and others on government income support. Under the Abbott government, that’s been renamed the Energy Supplement. As announced in this year’s budget, the rate of payment of 30 June 2014 will be fixed for future payments, rather than increasing in future. What’s less clear is what will happen to future tax cuts, which had looked set to be dumped, but which the new Senate wants to keep. Last week, the Senate voted against scrapping an increase in the tax-free threshold from $18,200 now to $19,400 from July 1 next year, at a cost to the federal budget of at least A$1.5 billion, and possibly more than A$2 billion over the next four years. That increase was originally intended to compensate for a rising carbon tax, and was mainly aimed at lower-income earners. The Australian reports that the tax cut would be worth about $83 a year for people on $25,000 to $65,000, and $13 for people on more than $80,000. But in its final 2013 budget, the Labor government announced it would “defer” those tax cuts, saving the budget A$1.4 billion. However, Labor never legislated that change. Yet when the Coalition government tried to do the same thing and scrap the tax cuts as part of axing the carbon tax, Labor joined with new senators to reject the move. So unless the government can persuade more of the new crossbench senators to change their mind, next year low-income earners will get an unexpected tax cut. 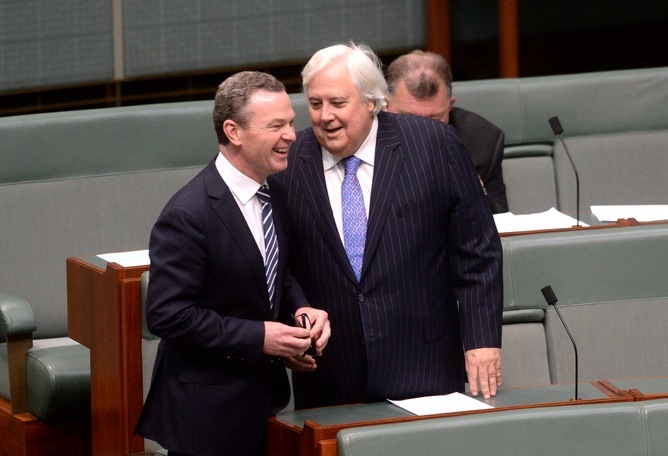 How will the carbon tax repeal affect the budget bottom line? Short answer: It’s a multi-billion-dollar black hole, but we’re still counting. 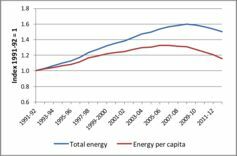 Until the carbon tax repeal is all done and dusted, the final costs are too hard to tally – but the costs are mounting. As Michelle Grattan has explained, the government isn’t getting its way in a number of areas of climate policy – and that’s creating a budget headache “as some budget items are rolled up, only to be rolled”. On top of finding A$1.5 billion-plus to raise the tax-free threshold increase, the government will be having to crunch new numbers after the Senate – including new faces from the Palmer United Party and Victorian Ricky Muir – combined to retain the Australian Renewable Energy Agency (although with reduced funding), the Climate Change Authority, the Clean Energy Finance Corporation and the Renewable Energy Target (at least until the next election). We’ll have a bigger deficit over the four-year period than we would have had if the previous government’s policies had remained exactly as they were. Even before the recent Senate dramas, the Financial Review had predicted that “scrapping the carbon tax could punch a hole as big as $7.6 billion a year in the budget”. The budget forecasts spending on the A$2.55 billion Emissions Reduction Fund over the next four years to be more like A$1.15 billion. That forecast was based on the loss of the carbon tax and its proposed replacement with the government’s Direct Action plan and its centrepiece Emissions Reduction Fund, worth “up to A$2.55 billion over the next four years. However, according to the 2014 budget papers, the government only expects to spend A$1.15 billion of that. However, Direct Action is still far from certain to be passed. What is certain is that repealing the carbon tax will cost billions in direct revenue from major polluters, which have been buying emissions credits under the scheme. According to the Financial Review’s analysis, the carbon tax directly netted A$6.6 billion in its first year (2012-13), when the price was A$23 a tonne. Having moved to A$24.15 a tonne in 2013-14, it was projected to raise A$7.2 billion. Prime Minister Tony Abbott has pledged to backdate the end of carbon pricing to July 1, 2014 (although this might end up involving a complicated system of refunds). Can Australia cut emissions without a carbon price? Short answer: Yes – although just how much, and at what cost, remains to be seen. As mentioned before, the Abbott government’s alternative climate policy is its Direct Action plan, but its fate is yet to be decided by the unpredictable new Senate. 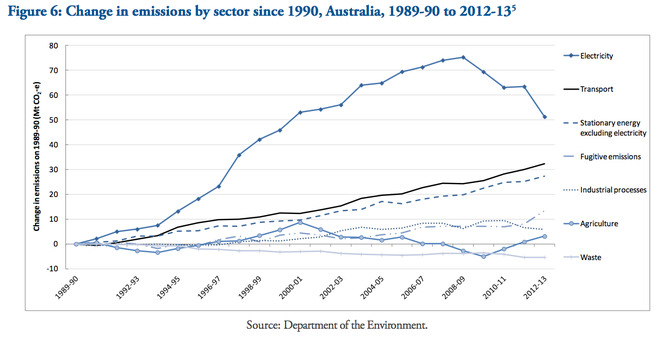 For decades, Australia’s greenhouse gas emissions have been climbing higher. But in recent years, we’ve seen a few small falls – including a 0.8% reduction in 2013 – the biggest annual reduction in emissions in 24 years of records. But if you look closer at the fall in national emissions across the whole economy – including energy, transport, agriculture and more – there was a much bigger, more marked change in our electricity sector, where emissions fell 5% last year. The total decline [in electricity sector emissions] over the two financial years since carbon pricing is almost 11%, at an annual rate of 5.36%. That compares to the average of 2.5% annual decline in the three years immediately preceding the implementation of carbon pricing … That is a quite staggering turn around. 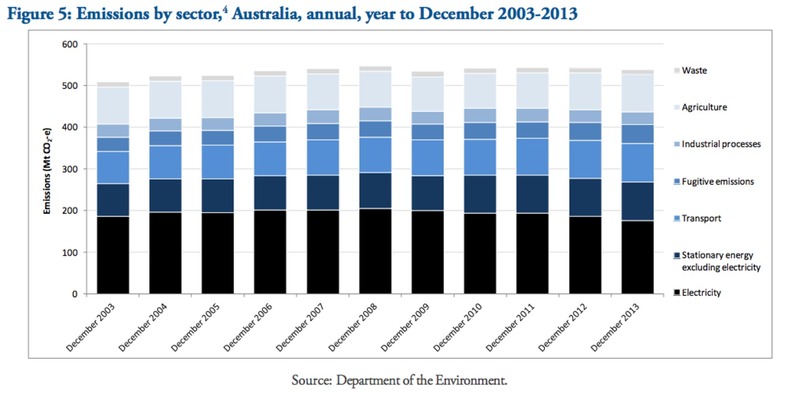 The December 2013 report on Australia’s emissions. But it’s not as simple as the carbon tax doing all the work. Other factors including energy efficiencystandards making a major difference – not just in slashing emissions, but also saving Australia more than A$3 billion last year alone. Economist Ross Garnaut agrees that having an emissions trading scheme or a carbon tax is not the only way to cut emissions – but argues “the alternatives are more expensive, more difficult, and less certain to deliver good results”. exceptionally committed to and completely confident that we will achieve our emissions targets, that we will achieve our reductions, and the Emissions Reduction Fund is the primary vehicle for doing that. But Garnaut has a different view, saying he believes “it’s doubtful” Australia will meet the emissions targets it has pledged internationally: an unconditional promise to cut emissions by at least 5% by 2020, and even more – possibly 15%-25% below 2000 levels by 2020 – depending on what other countries are doing. 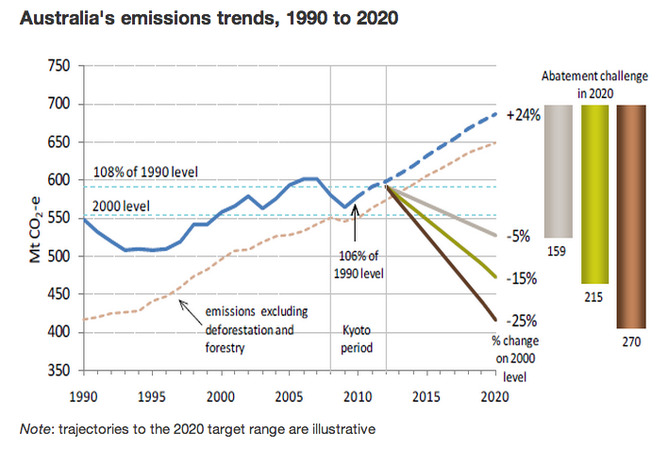 How far off is Australia and the world from hitting a 2 degree climate target? Short answer: A long way, though there are solutions available. Back in 2010 at the Cancun climate summit, most of the world including Australia committed to a maximum temperature rise of 2 degrees Celsius above pre-industrial levels, and to consider lowering that maximum to 1.5C in the near future. all pledges put forward by governments came to a combined total of only 60% of the emission reductions needed for a 50% chance of keeping temperatures below that goal. 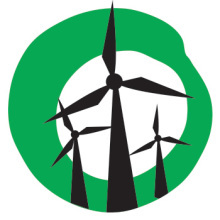 And the conference left the future of the Kyoto Protocol unresolved, which also left open the question of the fate of the international carbon market. Proposed ways to bring down greenhouse emissions from energy in 15 countries, between now and 2050. In other words, there’s still an awfully big gap between talk and action in most countries. 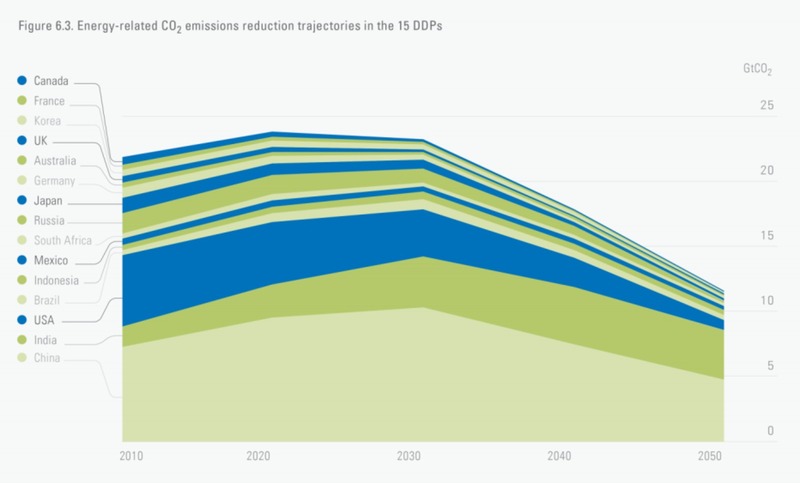 So how big is that gap – and more importantly, what technologies and policies do we need to achieve deeper emission cuts? Last week, researchers in 15 countries including Australia, China, India and the US published a reportshowing how they would work to cut global emissions by around half by 2050, even while tripling the size of the global economy. You can read more about those and other key findings from Australian lead researchers Anna Skarbek and Frank Jotzo. How many Australians understand how the carbon tax works? While this may have been a joke, it’s a good question because the truth is – not many. It’s not surprising, given our politicians couldn’t even agree on what we should be calling it. Most said “carbon tax”, others said “carbon price”, and a tiny minority of experts even said a “fixed-price period of the carbon pricing mechanism” turning into “flexible-price emissions trading”. So was it a tax? In practical terms, yes. Under Kevin Rudd, Labor was proposing to convert the fixed-price carbon tax to an emissions trading scheme from July 1 this year. 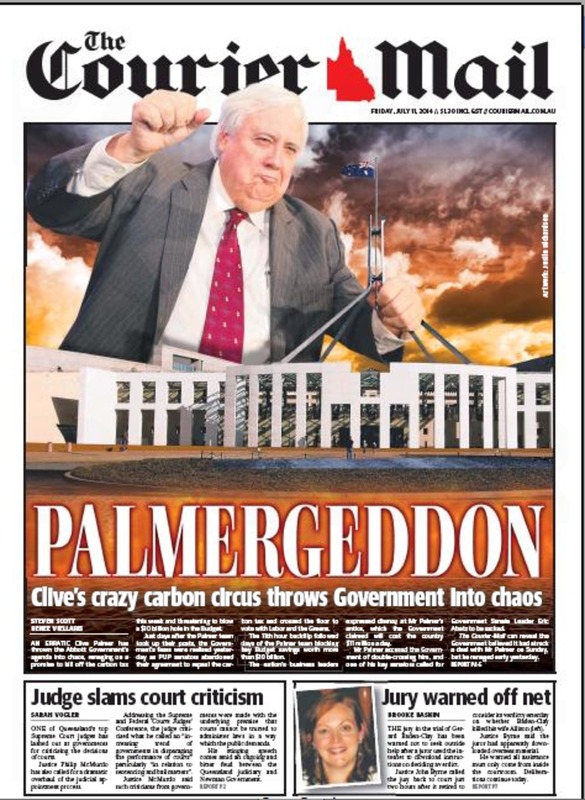 But unless Clive Palmer’s unlikely bid for a zero-price emissions trading scheme succeeds, Australia’s carbon price – whatever you want to call it – will soon be history.